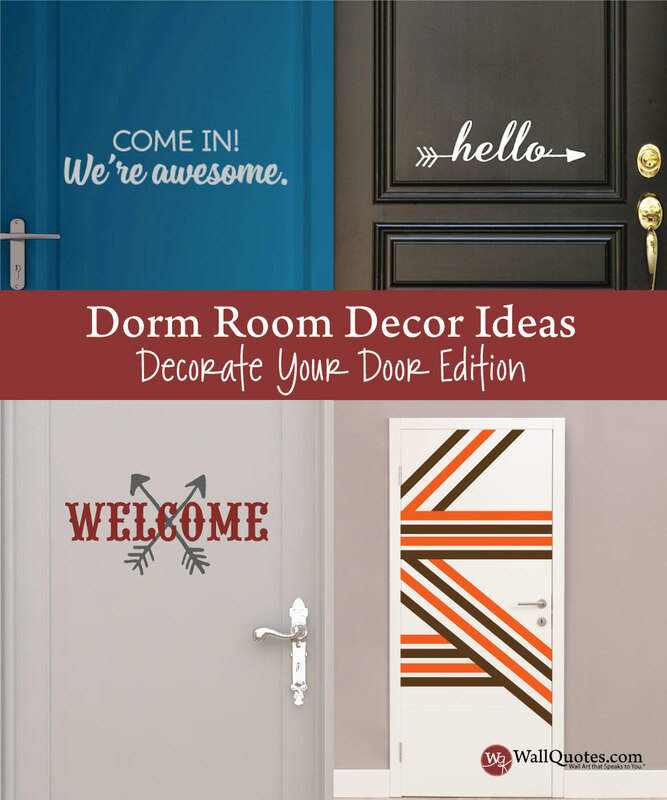 Your door is your first chance at a first impression in the dorms. Why not let it show off your personality and an added bonus if it matches your school colors! We've got some great ideas to give your dorm room door some personality. 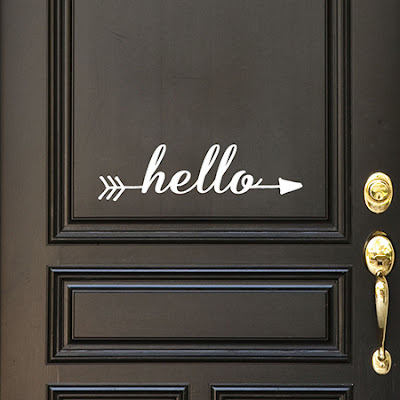 We LOVE this super cute Hello with an arrow that can point left or right! A cute little welcome that is sized to fit on any door. 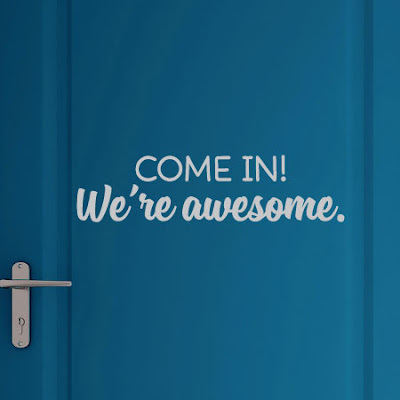 We know you and your roommates are awesome - let the rest of the dorm know with this great door decal. Get it here! We know geometric pattern is in and this is a easy way to decorate a door. 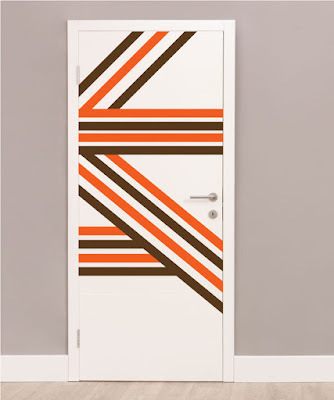 All you need is a ruler and some scissors to create this door - oh! and our indoor vinyl available by the sheet! Get 2 or 3 colors to really show off some school spirit! Not into stripes? No problem - we have more geometric ideas coming your way next week. Have more of a southern charm to your room? 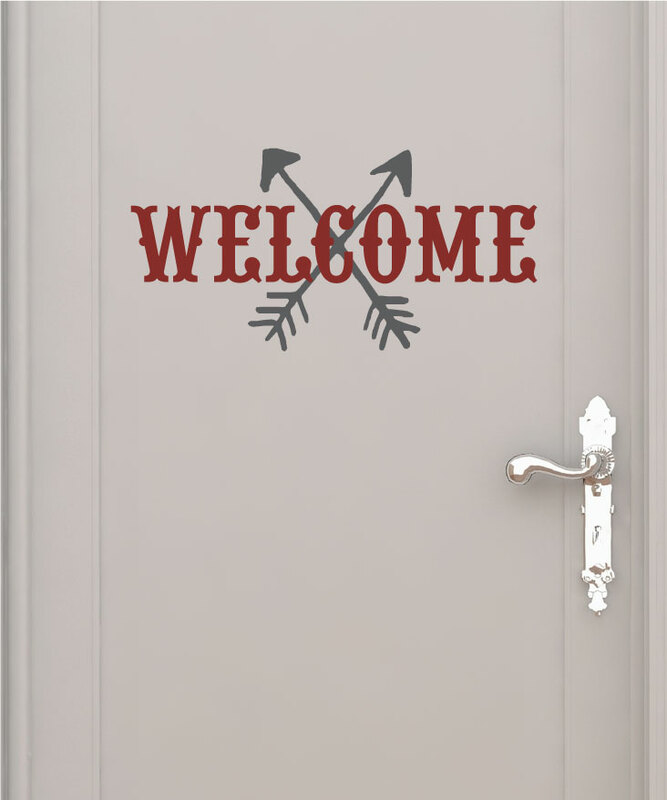 This Western Welcome is a great decal that is perfect to show off your school colors! 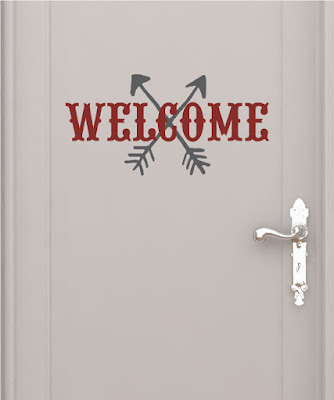 What do you think would be the best decal for a door? Tell us in the comments!